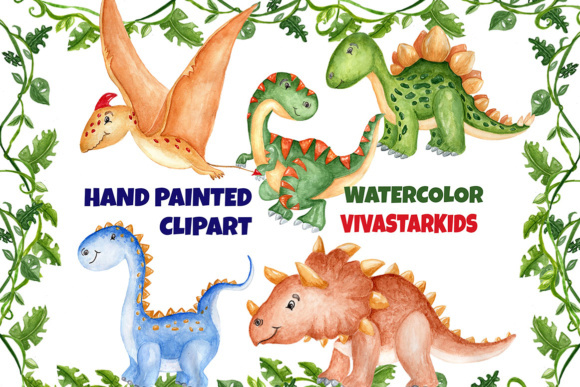 This is watercolour Dinosaur collection is perfect for your design project, invitations, scrapbooking, websites, blogs. 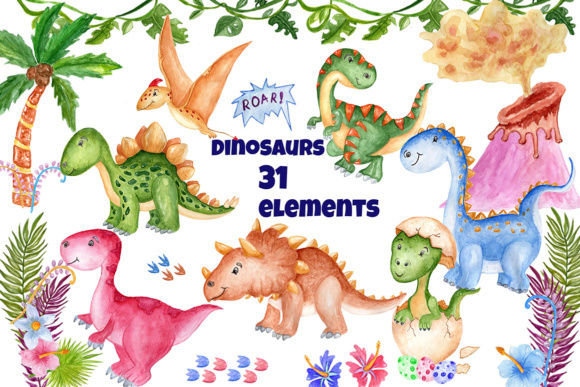 cards, greeting cards, party decorations and etc. 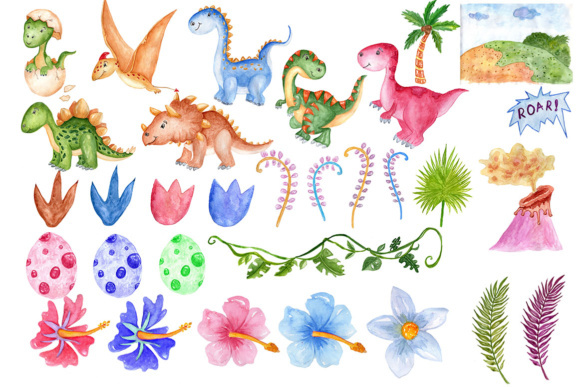 • 30 hand painted elements in PNG (transparent background) in high quality 300dpi resolution.